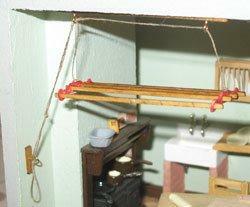 1/24th scale wood linen rack. Fabric can be carefully removed to add your own if you wish. Could also be repainted to match your other furniture.